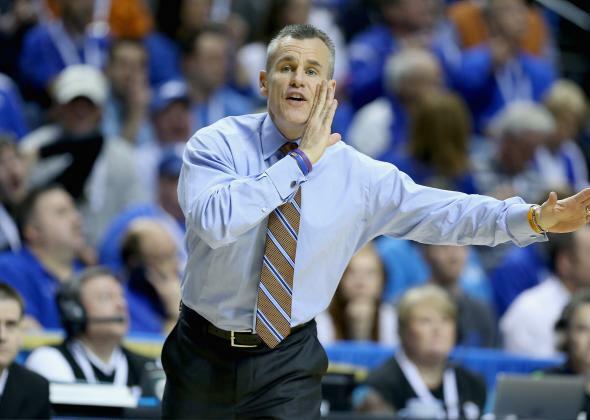 Billy Donovan to NBA: Florida Gators star coach takes job with Oklahoma City Thunder. Billy Donovan gives instructions to his Florida Gators against the Kentucky Wildcats during the quaterfinals of the SEC Basketball Tournament on March 13, 2015. Billy Donovan, one of the premier head coaches in college basketball, has decided to move to the NBA after nearly two decades coaching the Florida Gators. Donovan, who had 14 NCAA tournament appearances and won two national championships while at Florida, has signed a deal to coach the Oklahoma City Thunder starting next season, according to multiple reports. Donovan becomes one of the most high-profile coaches to move to the pros in recent years. The last marquee college coach to move to the NBA was former Butler and current Boston Celtics coach Brad Stevens, who moved to the pros in 2013. Donovan easily eclipses Stevens, though, in terms of his college coaching resume. Donovan’s Florida team reached four Final Fours and seven Elite Eights. Yahoo! Sports reported that the deal would be for a five-year contract. Donovan had recently signed a contract extension with Florida that would have paid him about $4 million per year to continue coaching unpaid players. Donovan very nearly made the move to the NBA in 2007, but he backed out of a contract agreement with the Orlando Magic to remain at Florida after winning back-to-back college titles. He takes over a Thunder team that just missed out on the final playoff spot in the hyper-competitive Western Conference this year after losing last season’s MVP, Kevin Durant, to injury. The team also has this season’s scoring champion Russell Westbrook. Donovan already had strong ties to the Oklahoma City franchise. Former Florida assistant Mark Daigneault was hired as Oklahoma City’s D-League coach last year, while former Florida video coordinator Oliver Winterbone is a scout with the Thunder. Presti and Donovan have had a lasting relationship. Donovan talked with the Minnesota Timberwolves and Cleveland Cavaliers about openings last season before deciding to stay at Florida. Durant will be a free agent after next season, but if he’s healthy again next year with Donovan at the helm, the Thunder will instantly regain their status as an NBA title favorite.